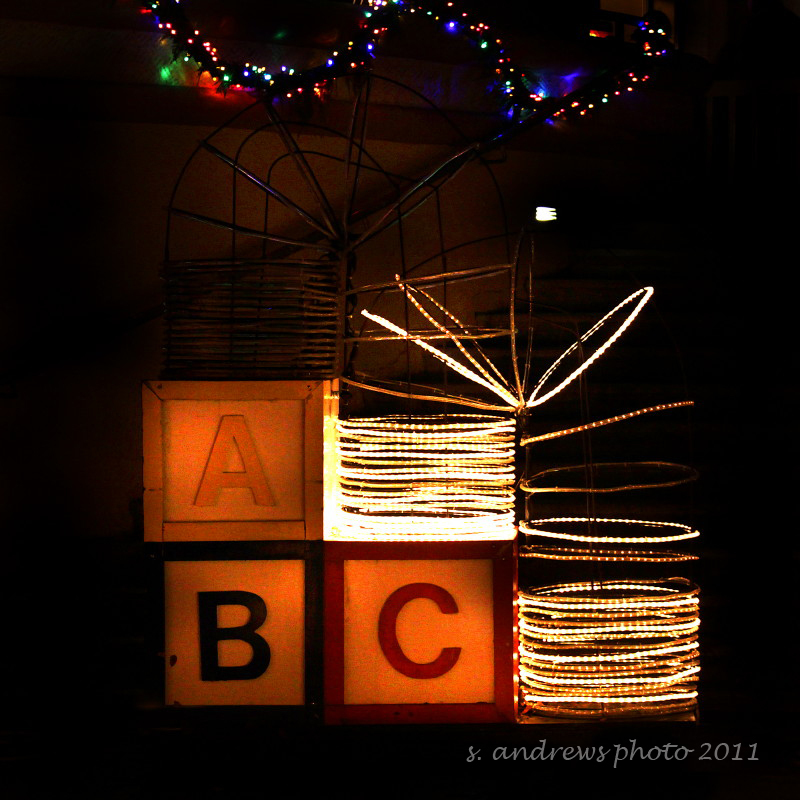 Just a week until Christmas ~ I am deep into the traditions that make this time so special for me. The beginning of the season everything we do is like saying hello to an old friend we haven’t seen for a year. 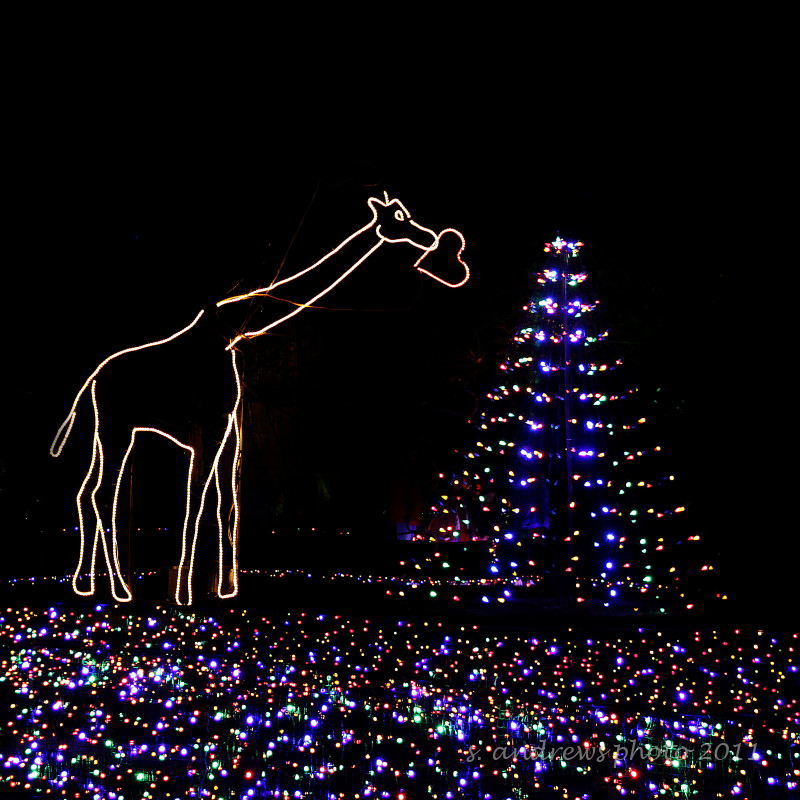 ZooLights at the Oregon Zoo joins other zoo’s around the country celebrating the season by transforming their grounds into a twinkling Holiday themed light show. 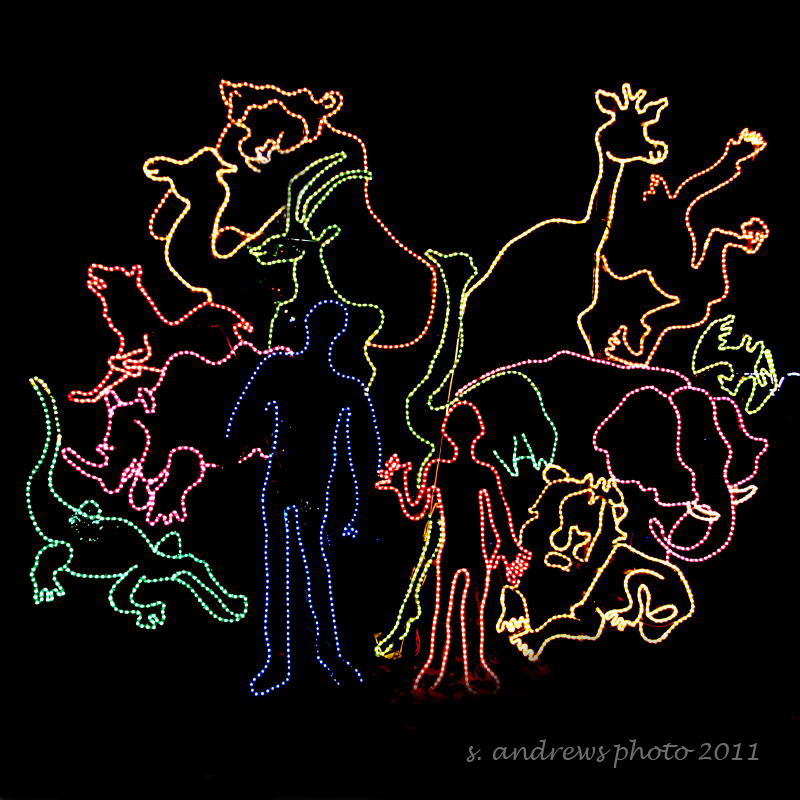 A time of year that the animals aren’t the star attraction; the zoo population is joined by life sized and larger than life colorfully lit versions of their animal kingdom family. Some scale for you, I think he is trying to figure out how to make one for the front yard! 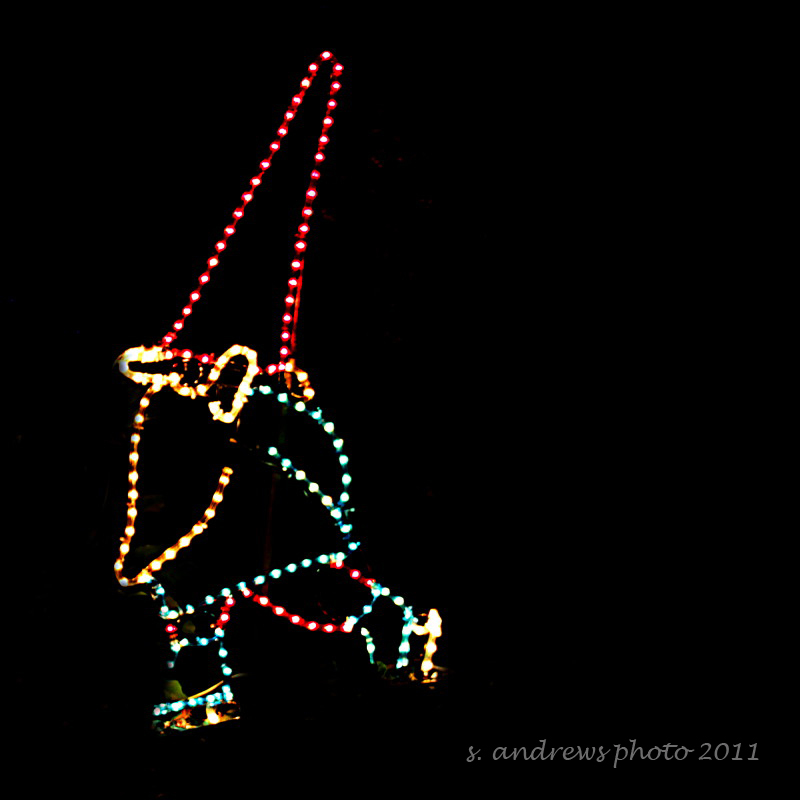 Barbara, this skating G-Nome is for you! Loved the Old world selection of animals on the display carousel. 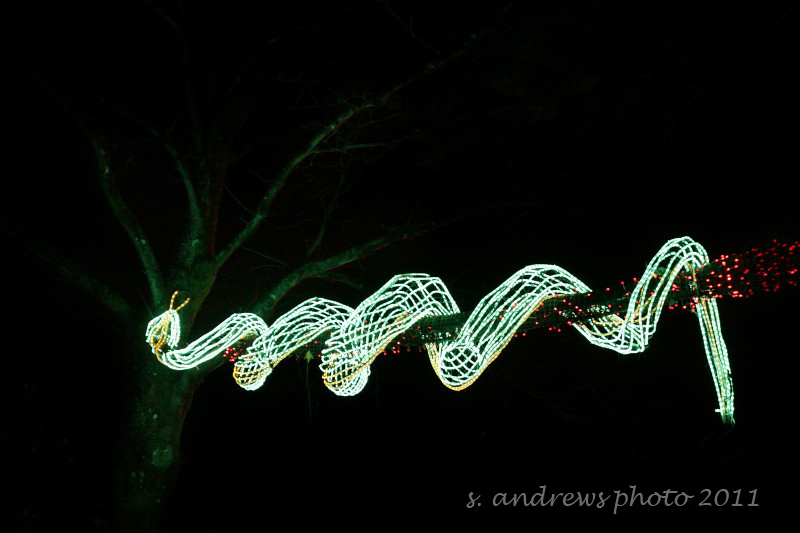 The Serpent was draped on the limb of a tree, one of the most impressive creatures. 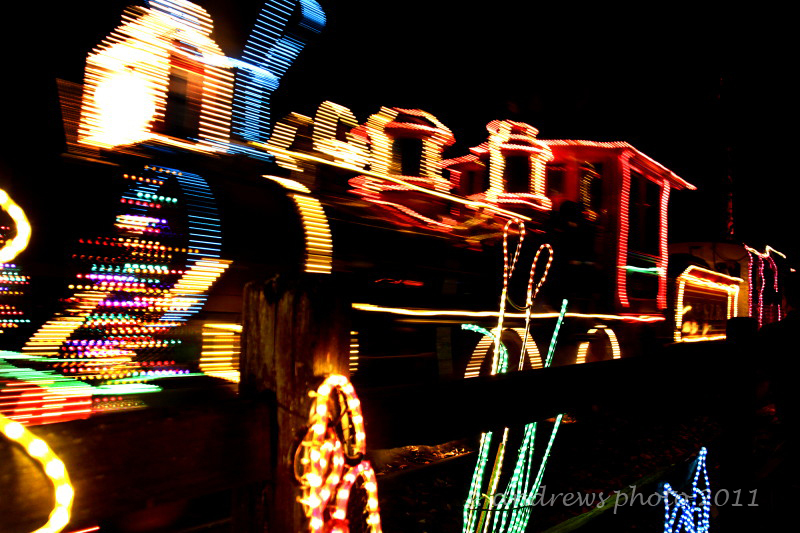 Zoo train, all dressed up for a Christmas Card photo. 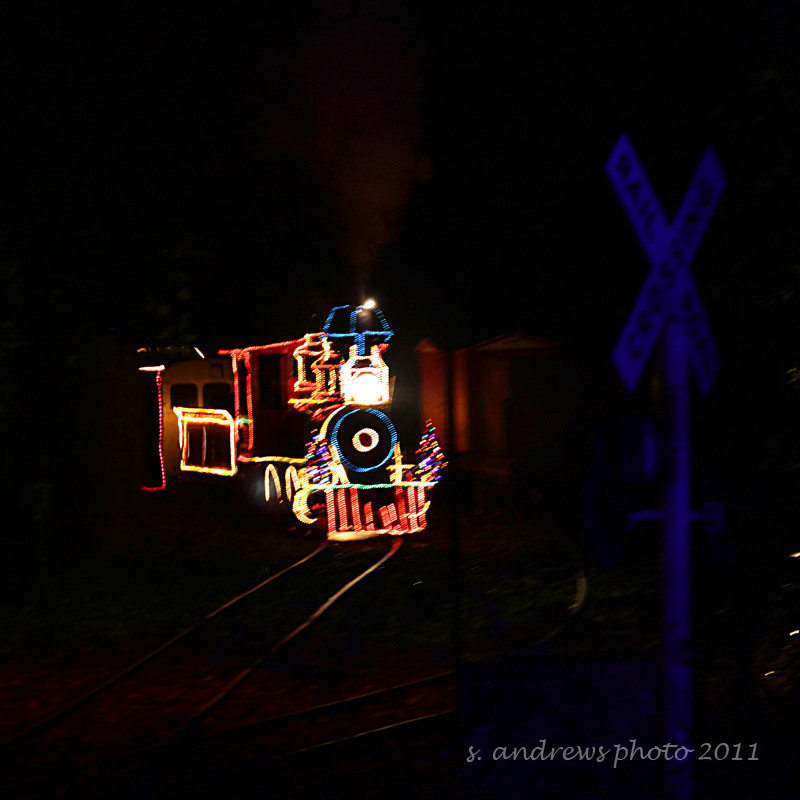 A classic; the lit train chugs around the zoo, delighting both passengers and spectators. 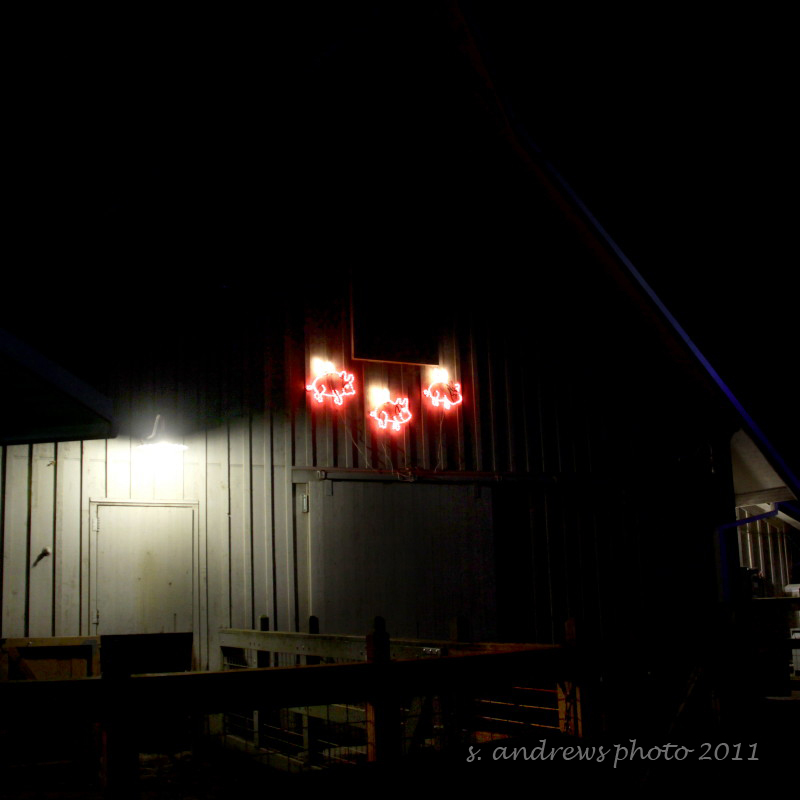 This was Husbands favorite display… you can almost hear the swooshing metal sound. 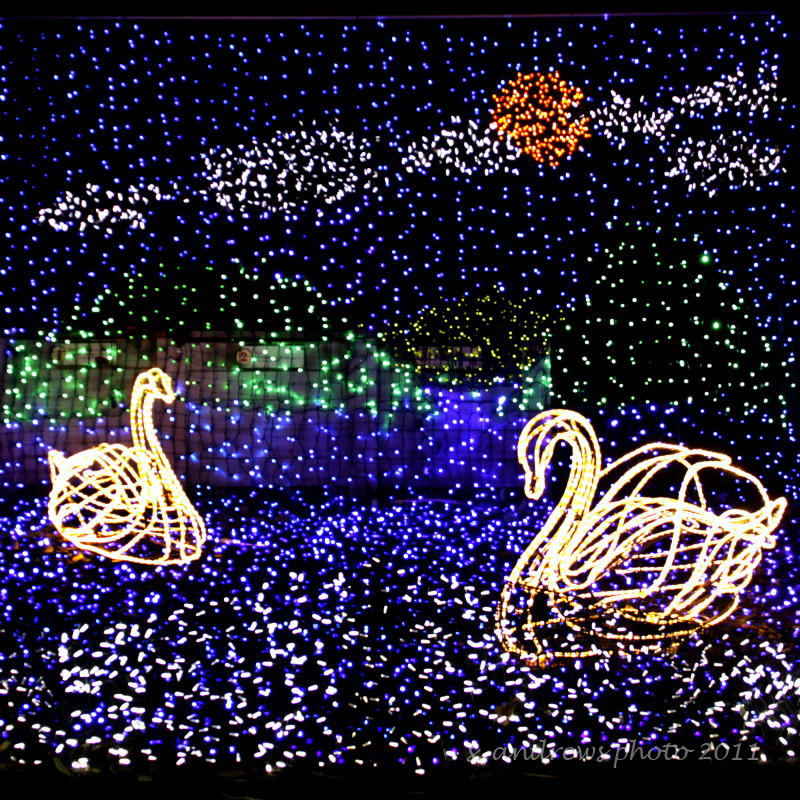 The Swans tableau made the birds look almost real. Okay, I just love these flying pigs ! The Heart of the tree; being placed by a tall tall helper. 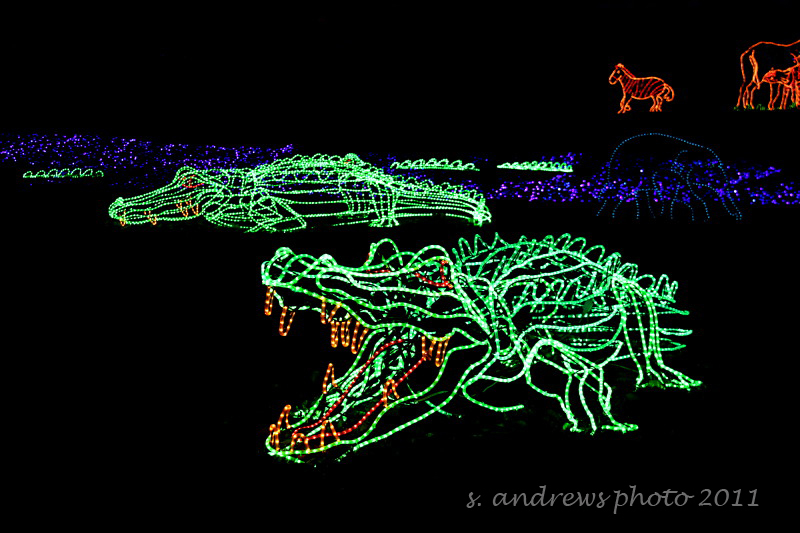 The lit version of the Mother and Baby were as captivating at the real thing. 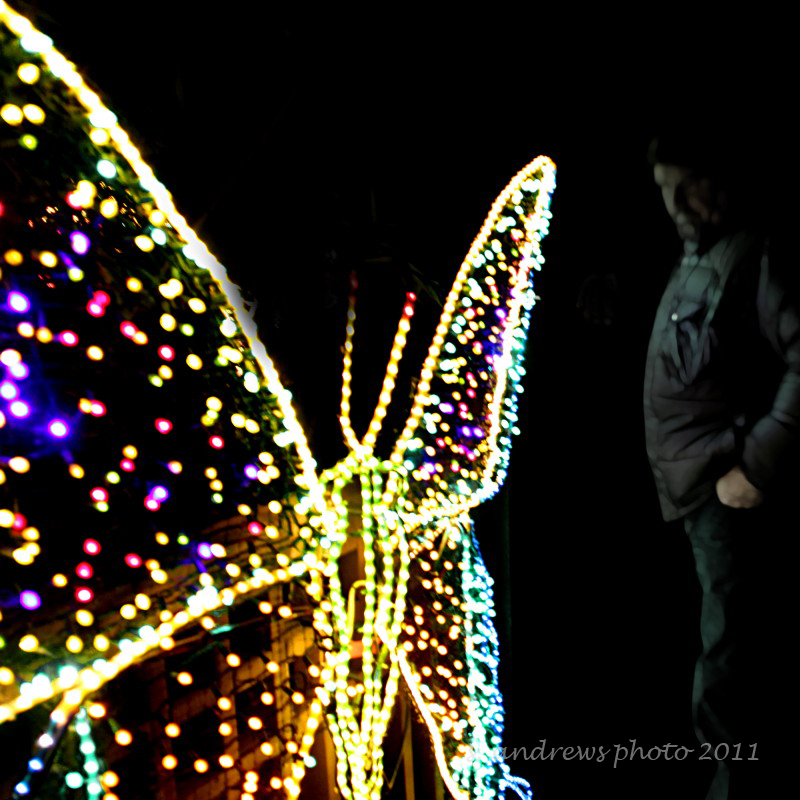 Hippos, Crocs, Elephants and even flying Eagles were all dressed in twinkling lights. 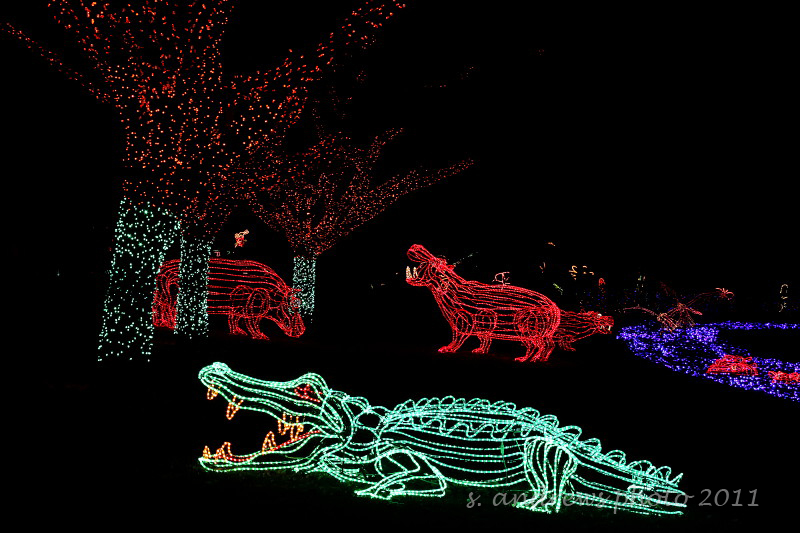 The main lawn light display with very realistic animals by a river. 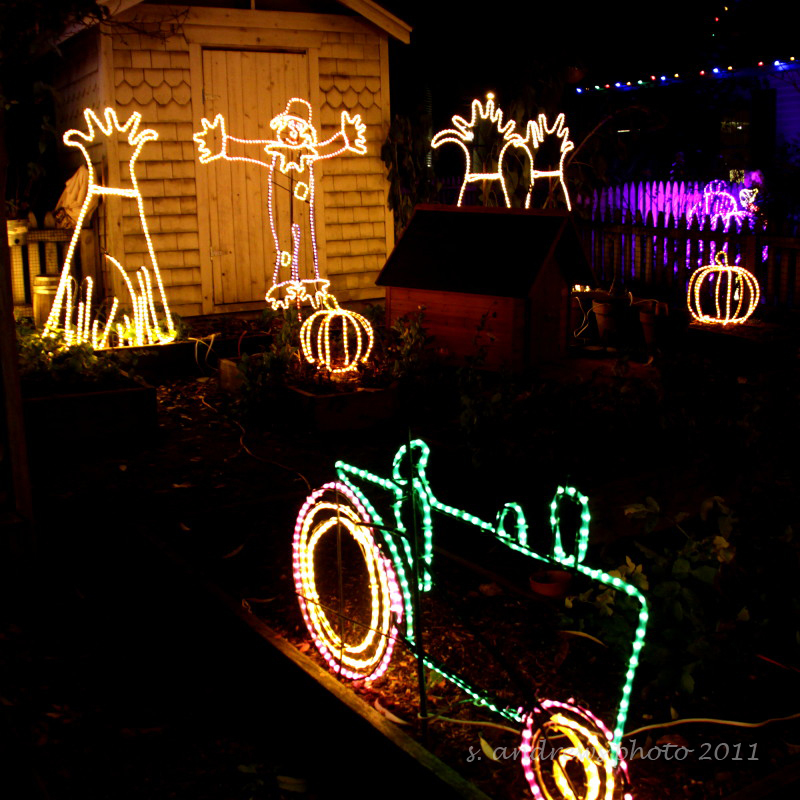 Up next: the Portland Christmas Ships ~ stay tuned ! 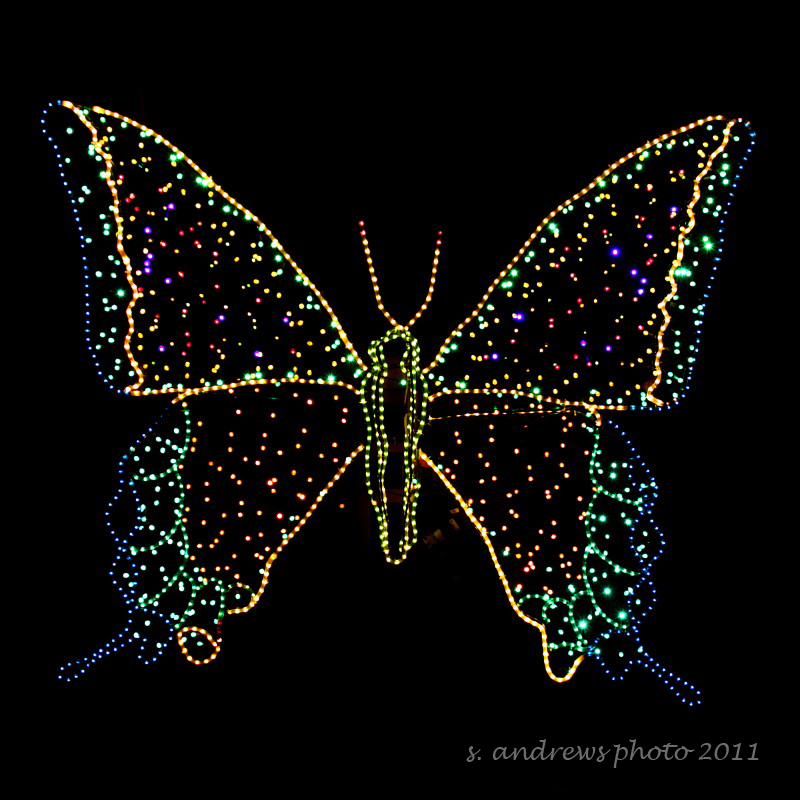 This entry was posted in Oregon, out and about, photography, uncommon everyday art and tagged Butterfly, Christmas Lights, Giraffe, Hippo, Oregon Zoo, Portland, Portland Oregon, Swans, Train, zoolights. You got some great shots! 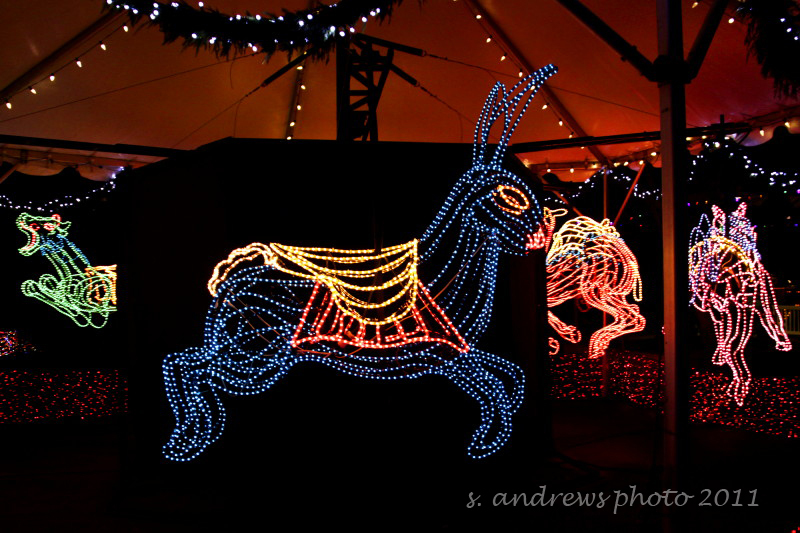 I usually only take my point and shoot to the Phoenix Zoo’s ZooLights so the pics are kinda crappy. But we go almost every year and have for over 10 years now, it’s really fun and pretty, like yours. 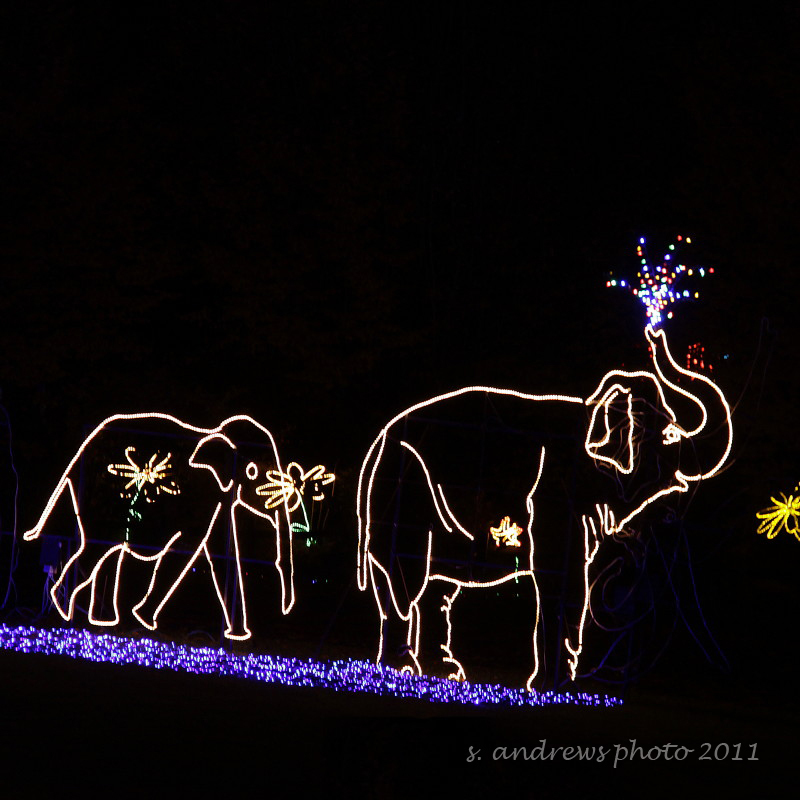 For years Bee and I would take my children and her grandchildren to see Zoo Lights. We took a picnic dinner to eat at the old elephant house in Washington Park (in the bitter cold.) Bee always brought carrots, celery and black olives in the belief that eating warm food would make the ambient temperature seem even colder! 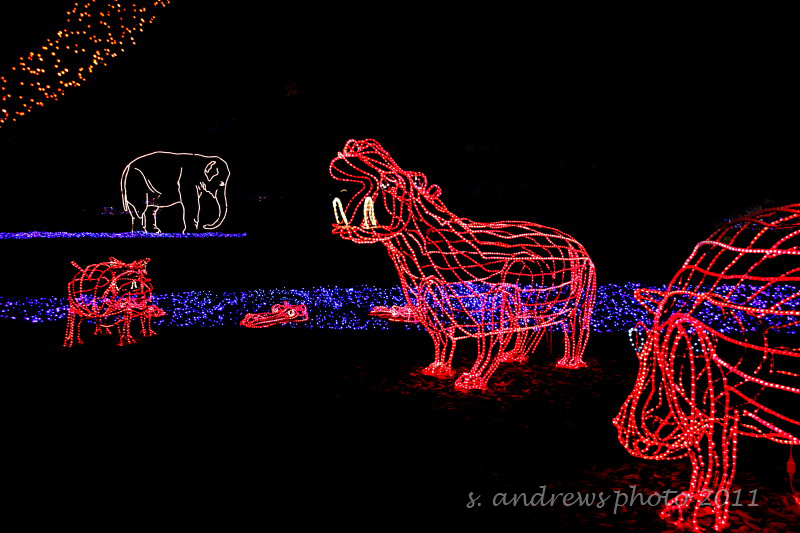 After the frigid meal, we would go to the zoo and visit the elephants, then peek at the naked mole rats. Finally, we would stand in line for the zoo train. The excitement was unbearable! Never have I had more fun freezing to death! What a great memory for all of you! This was our first time going, I hope we can make it a yearly event.